How do these generations think differently? How do they think the same? We'll see by their answers! Come on out for a fun time while learning how to better your communication skills with different generations. Moderated by Amanda Hoover, training specialist, BELCO Community Credit Union. This presentation is free to Chamber members and is part of our monthly Business Roundtable workshop. Lunch is provided courtesy of Dominos Pizza, Lebanon. Drinks are provided by the Chamber. While the roundtable is free, registration is requested. 12/20 - Getting Ready for Twenty Twenty. Join us for the Grand Opening and Ribbon Cutting for Eastern Electrical Systems! Eastern Electrical Systems will be hosting an Open House from 10 am to 2 pm with a Ribbon Cutting Ceremony beginning at 11:30 am. Take this chance to learn more about the services they provide such as advanced surveillance, gunshot detection, response systems and much more! There will be swag, prizes and refreshments. Purpose: To provide education, training and tools to employees or anyone in the workforce who may be ready to advance to a managerial position. Individuals attending the training will enter the workforce with a greater skill set. This is an accelerated leader on-boarding program. Self-Evaluation – What are your professional strengths and weaknesses, how can you utilize your strengths as a leader and develop strategies to overcome weaknesses. Professional Standards in the Workplace: ethics, behavior, time management. Presenter/facilitator: Dr. Marianne Bartley, Time to Think. How to Manage Staff: motivation, managing difficult employees, scheduling, understanding HR and legal requirements, hiring and firing. Presenter/facilitator: Sage Schott Reed, The Assessment Network. Becoming Part of the Company Team – advancing the mission and goals of the company, adding innovation and ideas for growth, making the change to management, managing the work-life balance. Presenter/facilitator Robert Hadfield, Certified SCORE Mentor. Join us for an Open House with PA State Representative Russ Diamond! During the Open House you will have the chance to tour the new office, chat with Diamond about state-related concerns and enjoy food from Mancino's Pizza and Catering. Help us show our appreciation for the members of our armed services! Join us as we recognize and celebrate the loyal individuals who have dedicated their lives to the various branches of the United States military. Our Keynote Speaker this year is State Representative, Frank Ryan! 2019 General Frank Smoker Beyond the Call Award Recepient is Richard Bleistine. Bleistine, a US Navy Veteran, hsa conducted military funerals at Indiantwn Gap National Cemetary continously since 1982, when the cemetery opened for burials. Through a generous donation by Luthercare, 20 FREE tickets are available to Active or Retired military, Reserves or Veterans. Please contact the Chamber office at 717-273-3727 if you are interested. These tickets will be first come, first serve. Registration is required in advance to take advantage of this offer. • Breakfast is served from 7:30 am-8:00 am. • Program begins at 8:00 am. Registration cancellations must be made 48 hours prior to the event or attendees will be charged. All non-members must pay in advance or at the door. Registration for this 4 week course is available through the May 2 event listing. Everyone is welcome to attend LLV's Leadership Day Conference. This annual event boasts phenomenal guest speakers and topics related to business and organizational challenges. Each participant will have the opportunity to network with and learn from a variety of community and business leaders. You will have the option of attending a morning and afternoon class from the following options. Cell phones and email have become a significant part of our everyday work and home lives, but they have the potential to slow us down and cause us to be disconnected from the "now". Learn strategies for self-awareness and creating balance in this interactive session that can help both you and your team. Workshop B: "Weed @ Work - Up in Smoke"
This session offers an overview of laws surrounding medical marijuana in the workplace and what employers should know before a misstep causes a business to "Go Up in Smoke". Innovation and technology are disrupting traditional fundraising models and competition for limited resources is pulling communities apart. Organizations must leverage partnerships to multiply impact and be willing to share credit and resources. In this session, Kenny will engage with the audience to discuss changing donor behaviors, progressive corporate social responsibility practices, and leveraging your network to build a donor centered culture. Contact Jessica to secure your morning and afternoon workshop sessions. Leadership Lebanon Valley (LLV) is a program of the Lebanon Valley Chamber of Commerce and is currently seeking candidates for the LLV Class of 2020. If you or someone you know is interested in joining next year's class, please contact Jessica Stankovich at the Chamber. Join the Government Affairs Roundtable for a Legislative Update on the challenges Pennsylvania will face with this year's budget. Are we one recession away from a PA State financial crises? Find out the answers! Free for members and non-members. Join nearly 400 Chamber members, students, teachers and their families at this gala event that honors the top five percent of the graduating seniors from Annville-Cleona, Cedar Crest, ELCO, Lebanon Catholic, Lebanon County Career & Technology Center, Lebanon, New Covenant Christian, Northern Lebanon, and Palmyra High Schools and the mentors who have made a difference in their lives! The Small Business Administration and Kutztown Small Business Development Center will present a "First Steps to Starting your Business" workshop. This workshop covers a number of critical issues relevant to starting and operating a small business. Professional presenters include attorneys, insurance agents, accountants, financial specialists and zoning and codes staff. The workshop is designed for both entrepreneurs thinking about opening their first business and existing business owners looking for a “checkup”. Free to members and non-members but registration is requested. How can you create a simple business plan? Why do you need one? Should I review my current plan? Come on out for a casual presentation with plenty of time for questions and answers. An always popular event, the Chamber’s Annual Golf Outing draws a field of great members and guests each year. The 2019 tournament will provide great business networking from key business and community leaders throughout the Lebanon Valley and surrounding communities while playing on one of Lebanon County's wonderful golf courses: Pine Meadows Golf Complex. This year's tournament will be held at Pine Meadows Golf Complex. 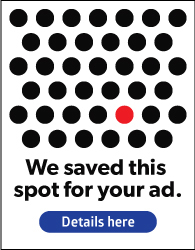 Other sponsorship opportunities are available. Please contact Karen Groh for details (kgroh@lvchamber.org) 717 273-3727. Registration cancellations must be made 72 hours prior to the event or attendees will be charged. All non-members must pay in advance or at the door. What should be in an employee handbook? Why do I need one? What are benefits that employees expect? Come on out for a casual presentation with plenty of time for questions and answers. New and existing members are invited to join us for a presentation highlighting membership benefits. 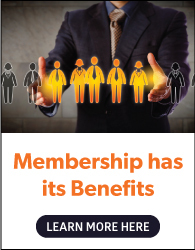 •What are my membership benefits? •How can I be more involved? •How can the Chamber market my business? 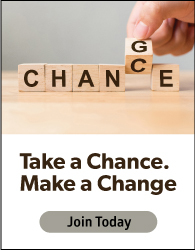 Are you considering joining the Chamber? This is a great session for you too! There is no cost to attend. We look forward to seeing you! For registration please call 717-273-3727 or email Brooke at bmendoff@lvchamber.org. FREE to attend, but registration is requested. How long is the process to become a registered vendor? What obstacles could I face? Come on out for a casual presentation with plenty of time for questions and answers. Join Cornwall Manor to celebrate their 70th Anniversay! The event will be held in their newly renovated Freeman Community Center on the Buckingham Campus at Cornwall Manor. Cornwall Manor will feature tours of their community as well as a variety of hot and cold hors d’oeuvres, wine and beverages. Take this opporunity to network and learn more about their premier senior living community! While the event is free, registration is requested. What should you be prepared for? How can you protect yourself and your business? Come on out for a casual presentation with plenty of time for questions and answers.